When we come to work for you, we don't consider ourselves to be outsiders. We consider ourselves to be part of the organization. Therefore, we make ourselves available to you 24 hours a day, seven days a week. Rest assured � if you want our help from anywhere in the world, we don't care if it's day or night � we respond. If a server crashes in Brazil or a security issue arises in Hong Kong � we respond. Whether you're one of our multi-billion-dollar clients with thousands of employees world-wide or a small operation just around the corner, it makes no difference to us � we respond. We feel that our reputation for responsiveness to our clients� needs sets us apart and has been one of the reasons we've thrived. Charon Solutions started out exclusively as a Technology Consulting firm, but we grew into something much more compehensive because of the special needs of our clients. As we solved more and more complex problems for our customers, they tasked us to assist them in broader areas of their business operations. We were up to the challenge. 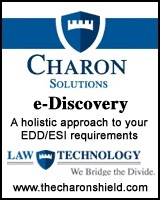 Today, Charon Solutions provides a host of services & solutions. The Chief Executive of Charon Solutions, Perry L. Segal, is a Business and Technology Professional with over twenty-five years of experience. He is also a licensed California attorney, which gives him a unique perspective. He hand-picks each and every consultant specifically to address each client's individual needs. You will not get "cookie-cutter" solutions. Your solutions will be tailor-made just for you and your individual requirements. "The Charon Shield" is here to help. If you'd like more information about what we can do for you, please don't hesitate to contact us.